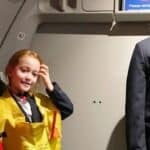 KidZania: a kid-sized city, where children can earn money doing jobs. I’ve been wanting to take the girls for a while, so when I was asked to review it*, I was pretty excited. 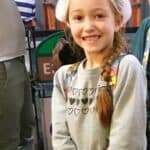 At nearly £100 for the four of us, is KidZania worth it? Ryan took the day off work, as we thought it would make a really nice family day out over half term. We drove down to Westfield for our day of of fun. Or so we thought. Unfortunately, it turned out to be more of a day of queues and tears. 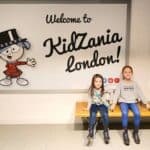 KidZania is built inside Westfield Shopping Centre, in London. It’s easy to find, and there is plenty of parking. You can also get the tube to Shepard’s Bush and walk a short distance. 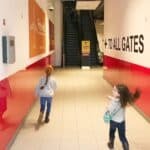 The entrance is set up like an airport which the girls found exciting. Until it became clear that the queue was moving very slowly. We got there 15 minutes before our scheduled ‘departure’ time as instructed. 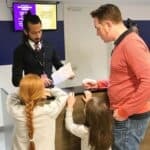 By the time we got through security and check in, over quarter of an hour of our experience had gone. Outside KidZania in Westfield Shopping Centre. Checking to see if my bag fits in the luggage compartment. 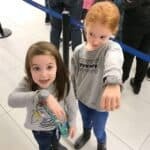 The kids are given trackable security wristbands, and the adults have one that is paired with them, to help track them down if they got lost. 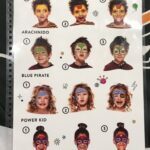 The kids get issued with 50 KidZos each, which they can use to pay for experiences, and then save for the gift shop at the end. 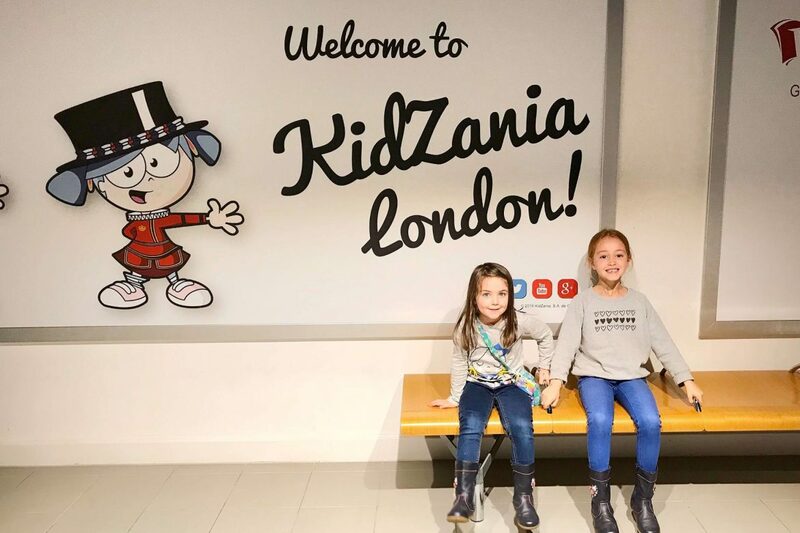 We stepped into KidZania and the girls were amazed and took a few minutes to take it all in. The whole place is set up like a child-sized town, complete with street lamps, shops, ambulances, fire engines and even a stadium. For some reason, it’s quite dark, as if it’s dusk, so I lightened my pictures so you can actually see the detail. It is really impressive and the girls didn’t know where to look first! I tried to get some pictures but they were looking around so fast they were all blurry! The attention to detail is impressive, and the girls were excited to look around. Then Ava spotted a climbing wall so we went and got in the queue. I’m British, so I am OK with queuing. But the queues at KidZania on the day we went were horrendous. 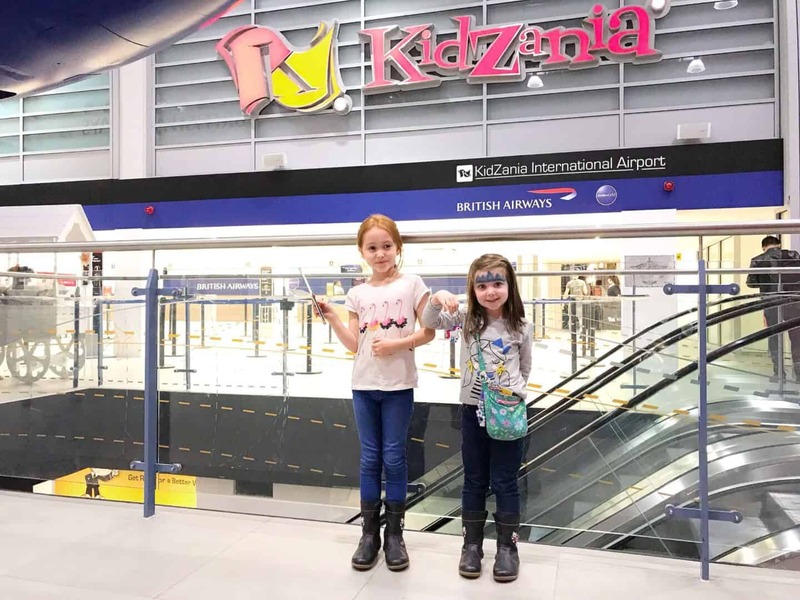 The KidZania experience lasts four hours. 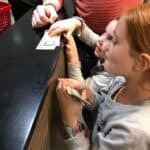 I am not joking when I say that we spend more than half of that time standing in queues, with two children in tears, and me on the verge of tears. This was before the tears started. 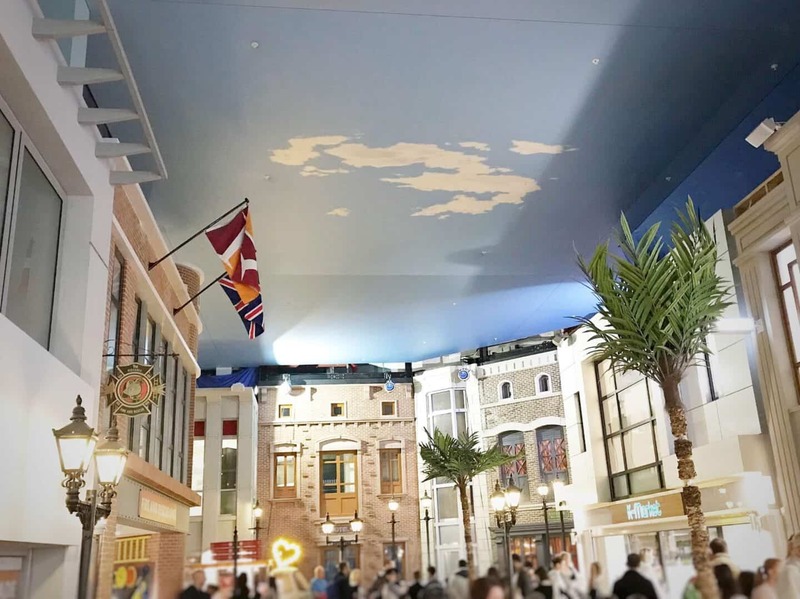 KidZania say you can expect to do an average of four to six activities. We only managed three each plus about two minutes in the disco. The queue at the climbing wall lasted about 20 minutes. Because adults aren’t allowed in the queues, Ava was on her own and waited very patiently. She was thrilled to get to climb up the side of the building, and the staff were pretty good with her, encouraging her to climb higher. 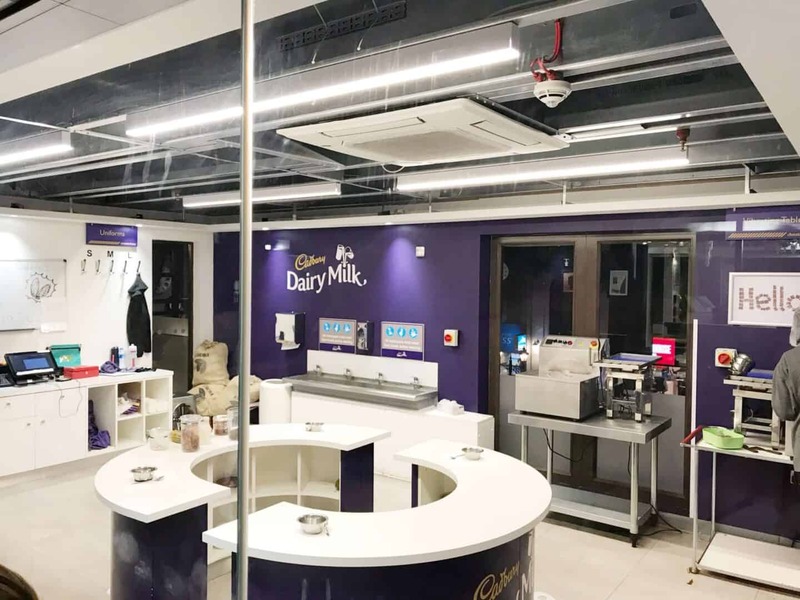 The queue at the Cadbury chocolate-making room lasted half an hour. 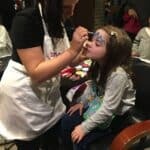 As Ava queued, Ryan took Thea to get her face painted by Snazaroo, which she loved. They came back and we were still queueing. You can see the kids having fun through the window, though I took this photo when it was empty as they did the changeover between groups. The sign on the window says 15 minutes, but for some reason there is also a really long changeover time. We could see the group of kids had left, but the next group weren’t allowed in for another quarter of an hour, despite the fact there was nothing going on. Ava worked out it would be another half an hour queue before her group got in. She eventually decided she couldn’t wait any longer. She wanted to try something else as she was literally bored to tears. There was no queue at the disco. So we went in so that they could at least have a bit of a dance. Thea liked it but Ava wasn’t keen. Luckily Ryan was able to dance at the side of the stage and cheer them up a bit. The queue at the BA Aviation Academy lasted over an hour. The girls queued so patiently for their chance to be trained as mini cabin crew. 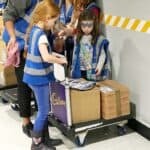 I think something had gone badly wrong, as the other queue, for the kids to learn how to be cadets was moving so much faster. They went in in groups of eight, whereas our queue crawled along at two kids per quarter of an hour. They even skipped our line several times to go to the air cadet crew. We kept asking how long it would be and kept getting fobbed off with “five minutes” which was clearly not true. Eventually, after a very long and painful hour of waiting, they got in. 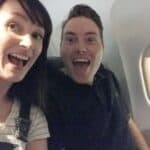 We waited outside and were finally called in to sit in the aeroplane and see what they’d learned. Here we are, waiting for the girls to serve our plastic food. We look over the moon. This is pure relief that the girls finally got to actually do something. 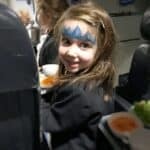 Ava helped with the safety announcement and Thea demonstrated the seatbelt before they served us food, and then cleared it away. As you can see from their faces, they loved it. 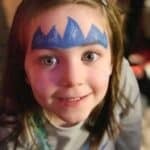 The queue for face painting was also abandoned by Ava. She waited for about quarter of an hour before deciding she wasn’t that fussed. In the mean time, I took Thea on a hunt to find any experience that didn’t have a queue. 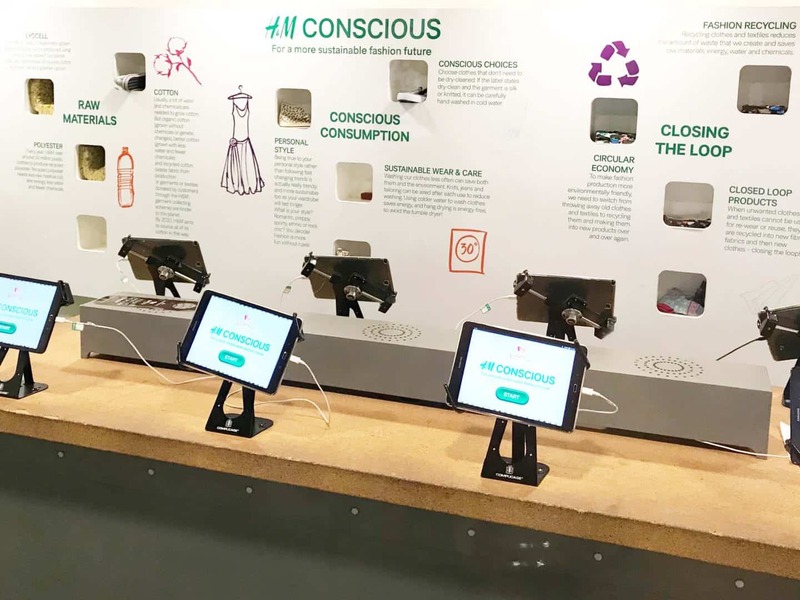 The only one I found was the H&M fashion recycling factory. Thea wasn’t keen that I couldn’t go in, but was very brave. She looked so bored through it sadly, and was too young to understand the iPad game they were supposed to play. The other older kids seemed to enjoy it more though. They really wanted to work as fire fighters, but the queue was insane. So we picked a shorter queue to be couriers. The queue for couriers was only about ten minutes, thank goodness. They worked as a team on this one, with Ava reading the clipboard and Thea helping push the trolley. 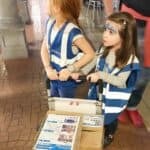 They both really enjoyed this, and loved wheeling the trolley around KidZania looking for their drop off points. At this point, our four hours were up, so we had to leave and let the girls spend their KidZos. They liked looking in the shop and paying themselves. Don’t go in half term! I imagine it’s less crowded in the summer months. Normal week days may also be fine, though of course the majority of kids would be in school. Otherwise, time it so you get there at the opening time, or perhaps at the end when most people will be going home. 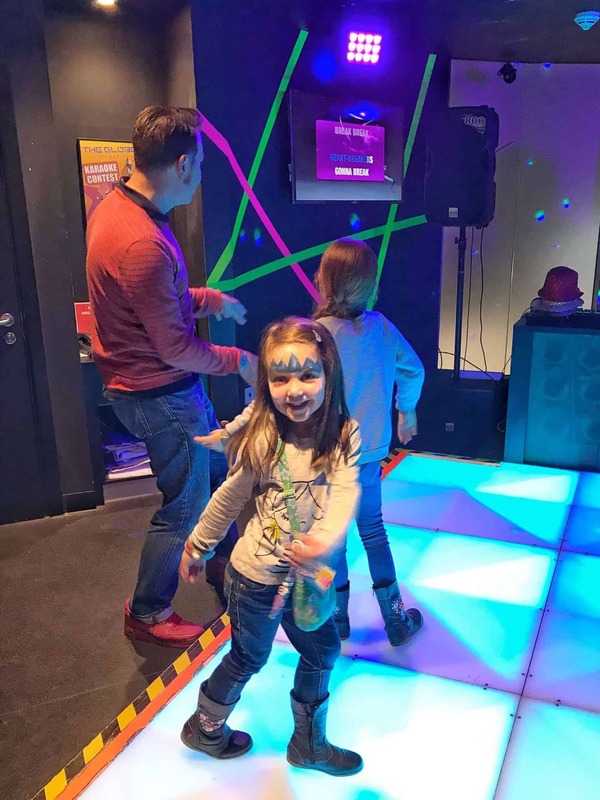 KidZania is set up for kids between four and early teens, but I would say four or even five is actually a bit young, in our experience. If you have any kids below four, they would have to go in to special under four rooms, which would mean you’d need two adults – one to supervise each child. So personally I would either leave it until all kids are older than four, or just take the older ones. Poor Thea (four and a half) didn’t even want to do any of the experiences to begin with, as she found the whole place too overwhelming. If you’ve read my blog before, you’ll know that Thea is very confident and nothing much phases her. It was so crowded and noisy though, and she found the big kids intimidating. Based on our experience I’d recommend taking an adult per child. If the kids don’t want to do the same activities, you can split up. It means you have someone to talk to during the queues. Of course this would mean an additional cost (Ryan paid £19 for his ticket) and to be honest, paying that much to spend four hours in and out of queues doesn’t represent good value for money to us. My kids take so long to eat, it would have eaten into our four hours even more. Luckily I thought of that ahead of time and booked our slot for after lunch. There are some places to eat inside though, so you could always get a takeaway and eat it in one of the queues! You can save £2, and a bit of faffing at the payment station by booking and paying for your parking ahead of time. 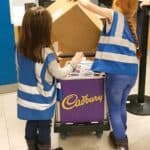 Take books or colouring or an iPad to help keep kids entertained in the queues. Yes, there is a theme here. So Is KidZania Worth It? Well for us, KidZania was not really worth it, sadly. 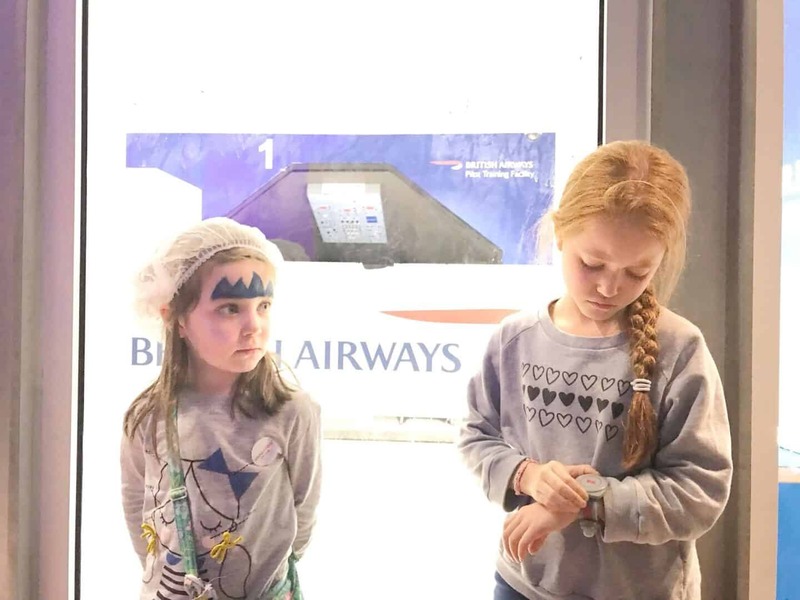 In the hour long queue for the BA experience, Ava begged us to take her home and both girls spent a lot of the time in tears. We seriously considered leaving and going to the Natural History Museum. I’m sorry to say we all found it too stressful, busy and boring (in the queues) for us to go again. Ava even started saying things like “I wonder how many hours we’ll have to queue for the next thing?” I personally don’t think that’s good enough, given the cost of the attraction. The staff were great with the kids, but when parents asked them about why the queue was so long, we were met with blank stares and mumbles. It wasn’t just us asking. Many of the other parents were angry, too. The tasks they did manage to do were great, and they really enjoyed them. So if we had managed to do a few extra tasks and spent less time queuing, I think KidZania would be worth it. If you home educate and can go during school hours, it would be brilliant. I think it’s an amazing concept, but on the day we went, unfortunately it was not being managed as well as it could have been, in my opinion. 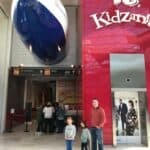 Is KidZania Is Worth It? Other Bloggers Think It Is! I chatted to a few blogging friends and they had great experiences, so to help you make an informed decision, I have included a few links to reviews from other bloggers. 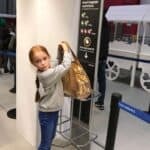 Eilidh from Mummy and Monkeys had a fab day at Kidzania, as did Steph from Hello Baby, so to them, KidZania is worth it. I think we were incredibly unlucky. The girls did really enjoy the few things they got to experience, but the thought of queuing like that again would prevent me from going back. The girls did start talking about “next time” so I think on balance they did enjoy it, and they have short memories and only tend the remember the good things. But the memories of the queues are just too fresh in my mind!